Lt Col Hussein al-Harmoush was the most senior defector from the Syrian Arab Army early in the Syria conflict. He fled to Turkey in June 2011 where he proceeded to set up a so-called Free Officers Movement to overthrow the Syrian government. His ambitions were short-lived. He disappeared from Hatay Altınözü camp on 29 August together with Mustafa Kassoum, a gym instructor who had been passing himself off as an Army Major. Two weeks later Harmoush was on Syrian TV, confessing to his crimes and to Turkey’s complicity. “I was appalled, and felt lost. The agency I worked for was coddling and glorifying these mass murderers. We were consorting with bloodthirsty thugs raising havoc in a friendly neighbouring country. We were housing and sheltering them, handing them safe phones, and helping their forays in and out of Syria. Sığırcıkoğlu put in request after request for a transfer elsewhere. But his command of Arabic language and his familiarity with the region was too valuable to his superiors. His requests were denied. Sığırcıkoğlu is firm in his stance against AKP’s Syria policy. Determined to name the informers and the secret witnesses who testified against him, he is also prepared to expose in detail where and how jihadi murderers are given passage into Syria, how the weapons are transported, and what instructions he was given by his superiors pertaining to these dark operations. Sentenced to a 20 year prison term for handing mass murderer Lt. Col. Hussein al-Harmoush back to Syria, Turkish Intelligence Agency MIT veteran Önder Sığırcıkoğlu escaped prison and fled from Turkey. This is Part 2 of the interview he gave to Ömer Ödemiş for leading Turkish news site OdaTV. From March to August 2011 Önder Sığırcıkoğlu interviewed over 4 thousand Syrians, drawing up fact sheets on each for his agency. He was tasked with keeping regular contact especially with the renegade military residents of the camps set up in Hatay. However the officer corps that was being put together included pretenders as well. Weapons were primarily brought in by ship. Sığırcıkoğlu remembers seeing a lot of armament that had previously been used in Libya. “There appeared to be a preference for brands from non-EU countries. Weapons of Albanian or former Yugoslavian origin were brought in, for example, and were dealt out to salafi terror gangs.” Indeed, I personally saw reports that mentioned I.K.86 bullets. I.K. is the acronym for Igman-Konyits, former Yugoslavian weapons and munitions factory in present-day Bosnia. 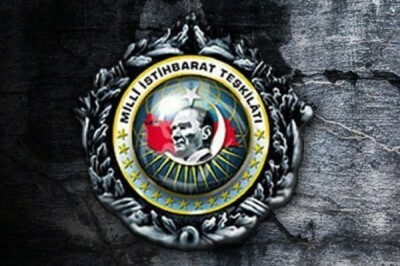 “All transportation and transfers were organized by MIT Adana Regional Directorate, under full knowledge of the then regional director Nihat B. and his deputy Mücahittin K. But there have been occasions when Ankara bypassed the regional directorate and carried out some operations over one-to-one connections with figures on the ground,” Sığırcıkoğlu states.